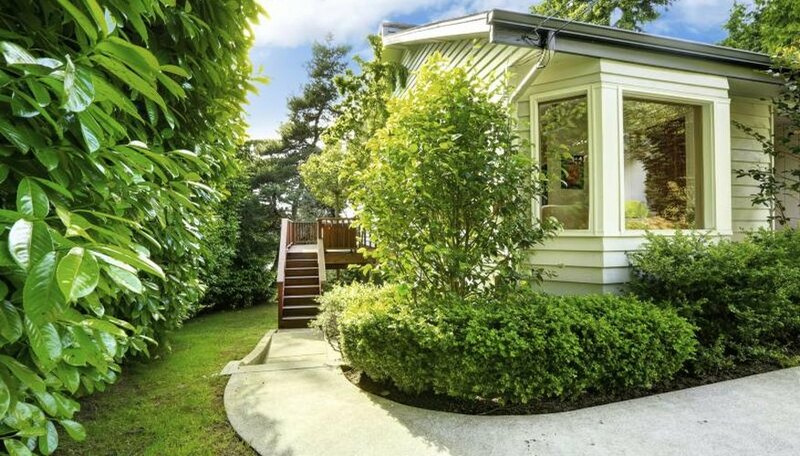 Your front yard plays a pivotal role in the overall appearance and feel of your home. 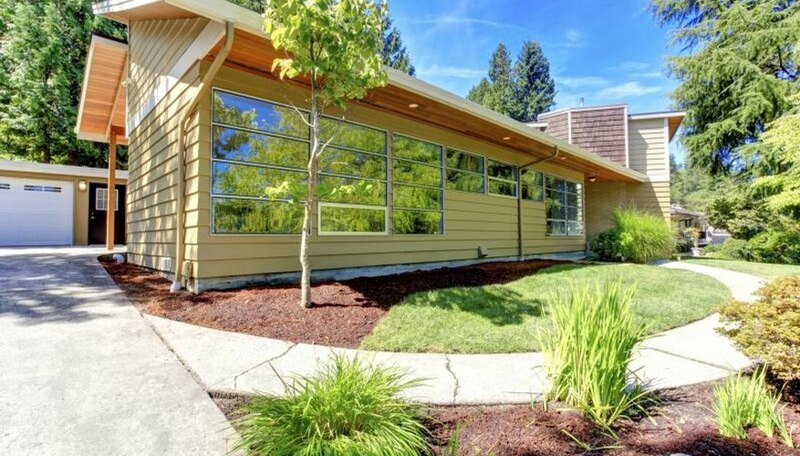 It serves as the first impression to visitors and can also make a healthy difference in the value of your home. But just because it's so important and needs to be carefully planned doesn't mean it can't be easy. Knowing a few principles of landscaping for the front yard can ease the process and result in a remarkably inviting landscape. For a simple weekend project, add to your foundation planting to soften the corners of your home while adding interest. You don't have to plant along the entire foundation for this project. Taller plants with subtle design elements -- structured shape, textured foliage or flowers -- work nicely for the corners of your home and as accents that lead the eye to the entrance. Small ornamental trees, evergreens or flowering shrubs are a few examples. 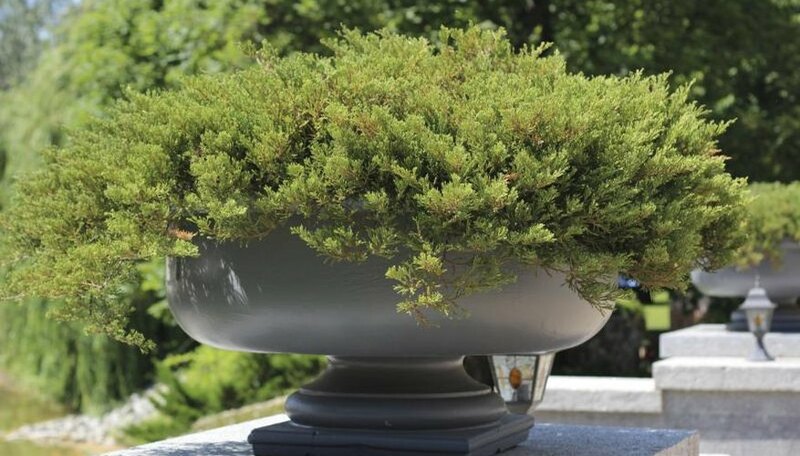 A "Rocky Mountain" juniper (Juniperus scopulorum "Wichita Blue") works well for U.S. Department of Agriculture plant hardiness zones 3 through 7. This cultivar reaches 10 to 15 feet tall and has blue, feathery foliage. Highlight the entrance to your home to provide a welcoming feel at your front door. 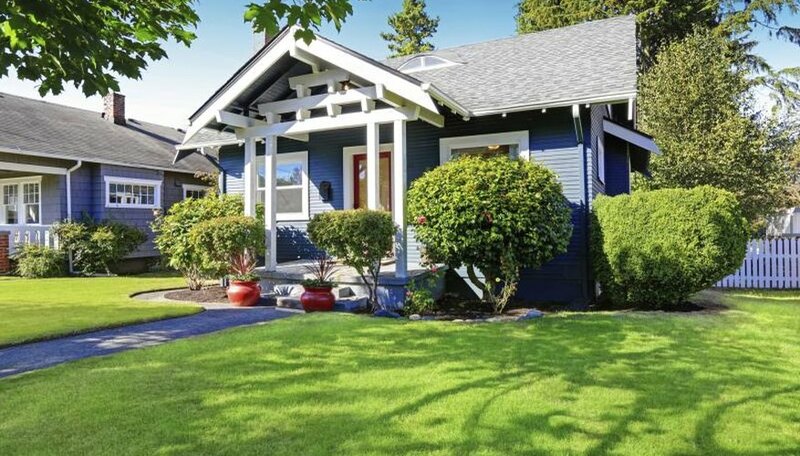 Projects around this area boost curb appeal while making your home inviting. Keep it simple to avoid overwhelming the entrance area with clutter. A small, decorative tree works well near the entrance, whether it is a structured evergreen or delicate weeping variety. Lavender Twist redbud (Cercis canadensis "Covey") grows in USDA zones 5 through 9. This weeping redbud grows 4 to 10 feet tall and has a gentle weeping habit with lavender-pink buds in early spring. If you have a porch, place a small table and tabletop fountain near your door for a relaxing and inviting place to sit or meet with friends. Many homes have a landscape area or cove near the front of the home, which makes a suitable backdrop for a larger fountain, statue or topiary. Choose hardy, noninvasive spreading or clumping plants that will fill space on their own after time. This is an easy way to create a full landscape with minimal effort. Smaller plants help blend the corner plantings and rest of your foundation into the yard as a whole. They also make good transition plants from the corners to the entrance, or in front of other foundation plants. Clump-forming "Summer Love" giant hyssop (Agastache "Summer Love") grows in USDA zones 6 through 9. This variety grows to 3 feet tall and has reddish-purple flowers in late summer. A carpet -- or spreading -- juniper variety will add texture to the ground without much effort. "Sargentii" juniper (Juniperus chinensis var. sargentii) grows in USDA zones 4 through 9. This variety has bluish-green, feathery foliage and grows to 2 feet tall with an up to 10-foot spread. Other choices include plants labelled as ground covers, colorful annuals or dwarf shrubs. The little things can make a huge impact and are often an easy day or weekend project. Adding mulch, stone or edging to your front beds gives a finished look with minimal effort. 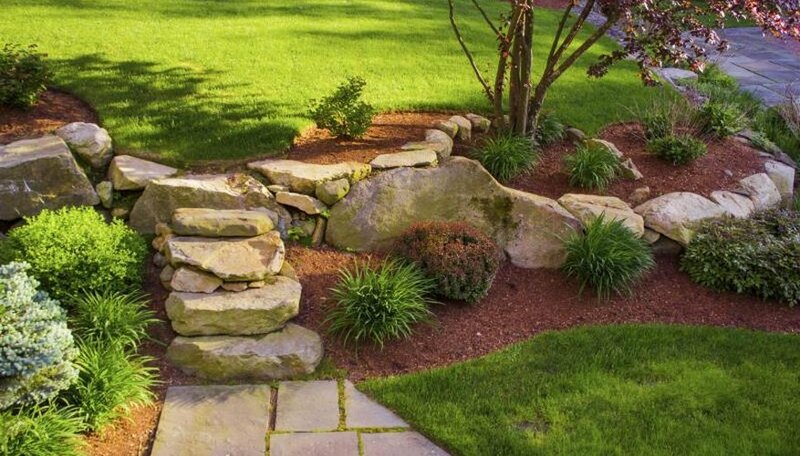 Fill in grassy areas or empty beds with stone or rock to neaten them up. You'll have to remove the grass, but this can be done with a square-blade shovel. Stone adds beauty to the front of your home, while pea gravel's subtle variety in colors and small shape add texture. Decorative concrete items, including birdbaths or statues, fill spaces in your landscape without needing watering, pruning or fertilizing. Line your walkways with low-growing, colorful annuals or low-growing perennials for a new look. To add texture and year-round color to your front beds, consider edging with a low-growing hedge such as "Morris Midget" Japanese boxwood (Buxus microphylla var. japonica "Morris Midget"). This small hedge plant grows to 8 to 12 inches tall and up to 18 inches wide. It is hardy in USDA zones 5 through 9. Missouri Botanical Garden: Juniperus Scopulorum "Wichita Blue"
Missouri Botanical Garden: Forsythia x Intermedia "Arnold Giant"
Missouri Botanical Garden: Agastache "Summer Love"